Have you ever noticed an odd mark or stain on your walls or ceiling? It might be water damage. 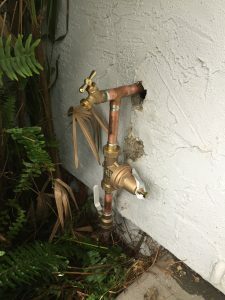 Even when you can’t see any evidence that something is wrong, water leaks can damage your home in unseen areas over time and increase your water bill every month. If these leaks aren’t caught early, they can add up to thousands of dollars in repairs and increase your utility bills every month. If you suspect that you have a water leak in your home, contact Maxx Water Heater Service today. Our professional technicians are experts at diagnosing leaks and water damage, and we can find and fix even the most challenging leaks and water-damaged areas. 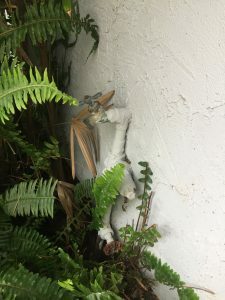 In many situations, our technicians can find the source of a leak using non-invasive techniques and equipment. When we’re searching for a leak’s origin, we exhaust every option before resorting to invasive methods. We want to use every non-invasive procedure possible to locate the source of your water damage so that you receive the most affordable option, and we ensure that property damage is minimal. Not only will we repair your water pipe leaks, we will also repipe in all necessary areas. When you need a plumbing inspection, contact Maxx Water Heater Service. Our technicians will thoroughly inspect your property’s plumbing and heating systems. Not only will we inform you when your systems need repairs, we will also provide you with an accurate estimate for the cost of the repairs.